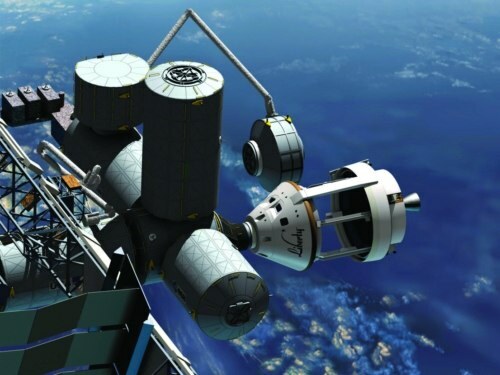 Some people noted earlier this week an article by Talking Points Memo (TPM) reporting that NASA plans to make selections in the next round of its commercial crew effort, the Commercial Crew Integrated Capability (CCiCap) program, in July or August, making more than one award. While TPM, a website primarily devoted to political news, treated that development as newsworthy, that has been in fact NASA’s plan for some time now, especially after NASA worked out an agreement with a key House appropriator, Frank Wolf, about the future of the commercial crew program. During a press teleconference on June 18 about a memorandum of understanding between NASA and FAA on commercial crew regulation, for example, NASA administrator Charles Bolden said he expected the awards to come by mid-July. NASA has said little else about the state of the competition, beyond its plan to make “two and a half” awards: two full-sized awards and a third smaller award. What NASA hasn’t disclosed is which companies submitted CCiCap proposals. One can guess, though, that at least five companies are bidding for CCiCap: the four companies with funded second-round Commercial Crew Development (CCDev-2) awards—Blue Origin, Boeing, Sierra Nevada, and SpaceX—and the ATK/EADS Astrium team that has an unfunded CCDev-2 agreement with NASA. And while these companies have made a number of announcements about their CCDev efforts, it’s been that last team that has been the most active in making the case for their crew transportation concept. The announcement of a combined cargo and crew capability for Liberty, through an “extended cargo configuration” that can accommodate a cargo module based on the Multi-Purpose Logistic Module previously flown to the ISS on shuttle flights. Their publicity push goes beyond press releases. Listeners to WTOP-FM, an all-news radio station in Washington, DC, have probably heard by now an ATK/EADS ad for Liberty during its broadcasts: a short spot playing up the benefits of Liberty to service the ISS. Such ads aren’t usual on WTOP for the defense industry (right now it’s sharing airtime with one from Lockheed Martin extolling the benefits of a missile defense systems called MEADS.) However, it’s much rarer for the commercial space field, and none of the other likely CCiCap bidders are running similar ads. Is a media push like this effective, though? As noted above, radio spots, as well as ads in newspapers and on Metro, Washington’s subway system, are commonplace in the defense industry during major procurements: at the height of the deliberations over a new Air Force tanker last year, the airwaves on WTOP at times seemed to consist of nothing but dueling ads from EADS and Boeing. Did it provide much advantage to Boeing, who won the contract? That’s hard to say, but it’s clear from this push that ATK is very interested in winning a CCiCap award to develop Liberty. Certainly many companies think that media spots are effective in the D.C. area, but so far CCDev decisions seems to have been made in out of JSC in Houston. I suspect the same will happen with the CCiCap program, and I think Bolden will be keeping tight control over the process to make sure it isn’t influenced by politics. However, I think ATK’s media push is setting up what comes after the CCiCap awards, which if they lose could be a call to the GAO for a review. Having politicians in your pocket also calling for a review is not a bad thing either. In any case, I think the ATK Liberty effort overall is a head scratcher – horrible 1st stage for crew, big modification for turning a reliable 1st stage into a (hopefully) reliable 2nd stage, and a bigger than needed crew capsule for the pedestrian purpose of rotating crew at the ISS. The newly announced cargo capability looks neat, but who has the money to spend on the non-reusable cargo modules? The rocket, the spacecraft and the cargo capability are all too big for the current needs of the ISS, especially when compared to what the other CCDev companies are doing. And in this case “too big” would also mean “more money”, so I’m not sure how well they compete against the current CCDev participants. Anyway, I was sort of thinking along those lines when I wrote it. If it’s still too ironic, I’ll get my (red) coat!